The town of Mt. Crested Butte is taking steps to give town staff a better salary, particularly among entry-level and lower-paid positions. The action comes after 2016 budget work sessions highlighted difficulties filling positions and retaining employees, particularly in the police department. The issue, however, isn’t limited to officers. More than 40 percent of town staff makes between $33,000 and $42,000 per year. To begin adjusting salaries, the council has budgeted a four percent increase in salaries and an additional pool of funds to bring the lowest-paid positions up. Councilmember Danny D’Aquila raised the issue at the first of two work sessions on October 20, after it was confirmed that the starting salary in the police department is $33,000. After a probationary period of six months, that increases to $38,000. D’Aquila calculated that at $40,000 a year, an officer would make $20 per hour for 40 hours per week and nearly $17 an hour for a $33,000 salary. “How would you guys like that job at $20 an hour? And we already have a scenario where a couple of officers are having difficulty finding housing at that level of pay, and staying with other officers,” he said. Councilmember Gary Keiser wanted to know if the starting salary had made it difficult to fill positions, and chief of police Nate Stepanik confirmed that it had. One officer moved back to the valley from Pueblo to be closer to family but took a pay reduction to do so. “He was making more as a parking meter maid in Pueblo at the time than what we were offering,” Stepanik said. “I find this to be the biggest budget discussion because I’m more in favor of getting somebody on line and keeping them through retirement. It’s going to make every aspect of town difficult if we’re constantly retraining,” D’Aquila said. “The turnover we had recently—do you think salary was a factor?” Keiser asked the chief of police. “I do, and I know we have guys thinking about it and moving to the Front Range. Housing is cheaper, everything is cheaper, [and salaries are better],” Stepanik said. While the proposed budget already included a four percent increase in funding for salaries, to be distributed by department heads, the tenor of the work session suggested that four percent was not enough to make salaries competitive. The council was interested in raising salaries, particularly for lower-paid workers. Councilmember Ken Lodovico pointed out that the Crested Butte EMS Division, where he sits on the board of directors, had recently raised its salaries for the same reasons. The council revisited the topic two weeks later at a second work session, at which Mayor Clayton and town finance director Karl Trujillo presented the board with an option: Create a salary adjustment pool of $50,000 plus any associated benefits—a line item of $68,000 to $70,000. “Let’s identify this as money available for salary adjustments, finish doing some research and whatever else we need to do, and give discretion to department heads to figure out where the money has to go and in what way,” Clayton said, suggesting that it would be a start to solving the problem and could continue to be revisited over the next couple of years. Trujillo confirmed to the News that initial research did suggest Mt. Crested Butte salary ranges needed adjustment. “Telluride starts a maintenance worker at $42,500 and an entry-level officer at $46,800, for example. Crested Butte is a little higher than us but not that much. We didn’t give raises for at least five years during the recession, so some of our other salaries are out of whack as well,” Trujillo said. The council was supportive of the idea for the salary adjustment pool and included in the budget, which was formally approved November 17. “It’s a great start,” D’Aquila said. “We just need to be aware we need to have this as a multi-year process so we don’t all of sudden, say a year and a half or two years down the road, say, ‘Oh my gosh, we were over-generous,’” councilmember David O’Reilly said. When it comes to determining whose salaries are adjusted the most, that will be determined by department heads after further research. “The message I am hearing from council is to make sure we get some of the lower-paying jobs up first. 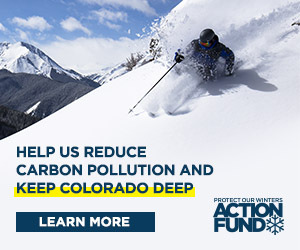 So our next step is to sit down with [town manager] Joe Fitzpatrick and the department heads and see what other towns are doing to salaries and we will look at Crested Butte, Gunnison, Telluride and some others for comparison,” Trujillo said. The salary increase comes as the town of Crested Butte also budgeted for salary increases. According to Lois Rozman, finance director for the town of Crested Butte, the town did not do a separate budget line item for salary adjustments but did budget for a 5 percent increase in salaries overall. “We did do a market survey of each individual position to come up with pay ranges for every position and then made sure each person was within their pay range. Average wage increase for 2016 for Crested Butte is about 5 percent; there will be some lower and some higher,” Rozman said.